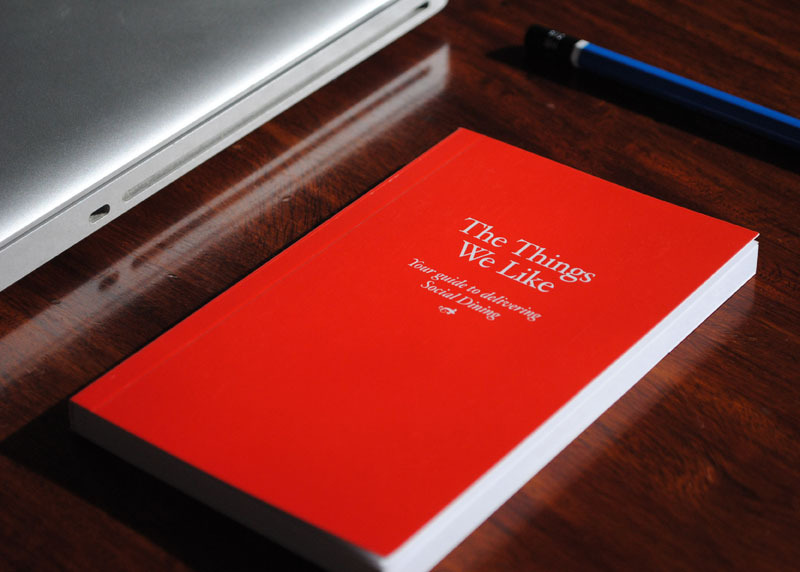 ‘The Things We Like’, was a book designed for the Nourish Group — a group of restaurants headed up by celebrity chef Simon Gault. The book was meant to be a field book of sorts given to every employee. 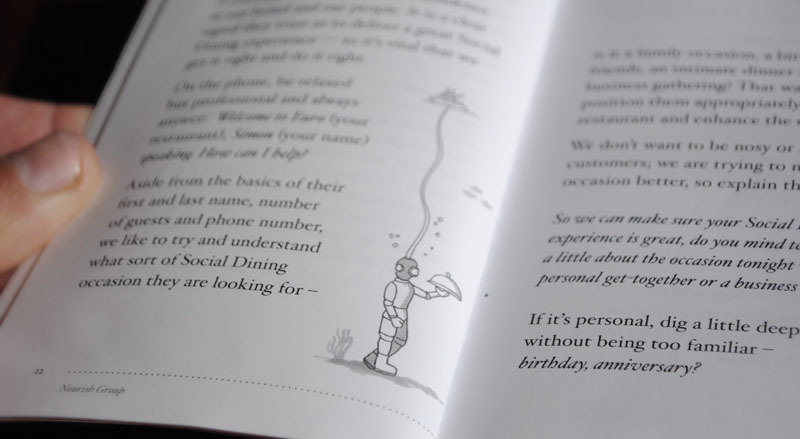 It was delivered in coordination with a campaign called Social Dining. The idea is that the staff of these higher end restaurants could provide the best social dining experience in New Zealand. This book was part Social Dining manefesto, part etiquette, part glossary, and part notebook. Front of House staff are expected to have this book on them at all times and use it as a place to take notes on regular customers, their preferred tables, meals, drinks, friends names etc. 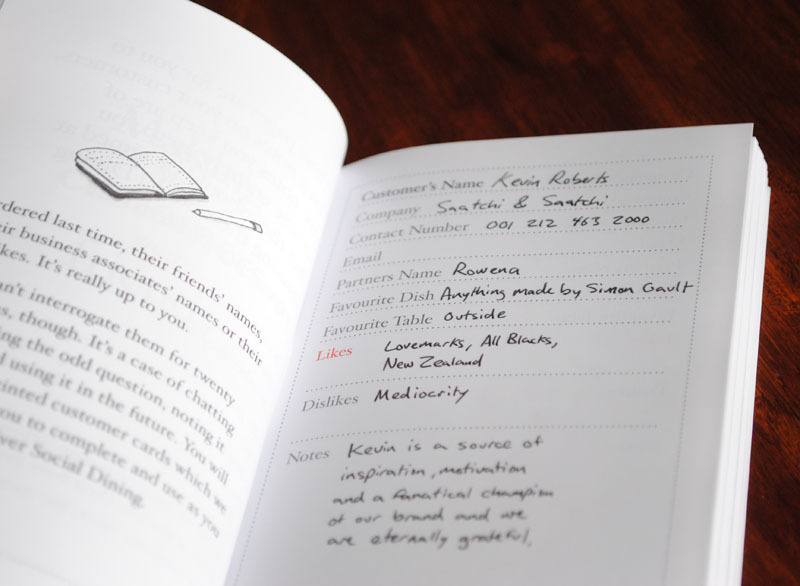 Quirky illustration, personable writing, and easy to use pages made this little moleskine-like book something staff is eager to use.